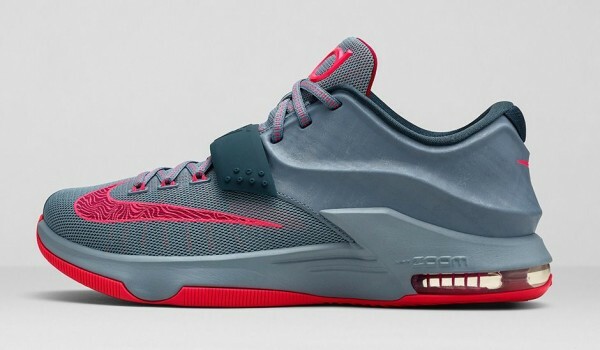 Keeping to the ongoing weather theme, Kevin Durant’s 7th signature silhouette the KD7 will be getting another colorway makeover this weekend with the release of the “Calm Before The Storm” rendition. This time Nike Basketball strays away from the 7’s recently released vibrant renditions like the “35’000 Degrees” & “Easy Money”colorways and go with the subtle look. 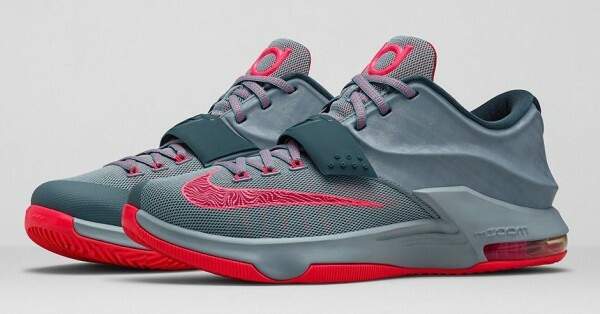 The C.B.T.S Nike KD 7’s come in a predominately grey upper with bright red accents on the soles, tongues, and laces. 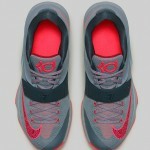 The colorway also includes dark grey on the signature “35 strap”, insoles, and also the toe box. 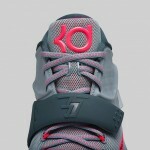 They will be available August 16th at all Nike retailers worldwide as well as the brands online shop.